You are the 27171st visitor! The old counter was at 55758 before this site was moved. Welcome. My name is Donna Dreyer and I'll be your guide through your tour of Logan County, Oklahoma. With your help, I can make this an interesting and informative trip. My goal is to get as much information online for free access as possible to help you with your research. All this takes time and effort though, so please be patient. If you like something you see here, or would like to add information to this web site, or you have information and can be a lookup volunteer, drop me an e-mail Donna Dreyer. Please remember that I will get your information on line as soon as I possibly can. I have outside obligations and a daughter. Subscribe to Rootswebs Logan County, Oklahoma Mailing List. Just click on "Logan County", turn off any signature lines before sending message and send. This is a mailing list for discussion, for anyone with a genealogical interest in Logan County, Oklahoma. 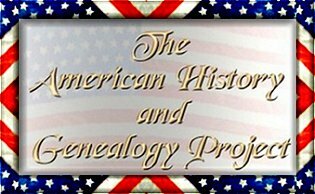 Oklahoma American History and Genealogy Project. See here for more information on AHGP.